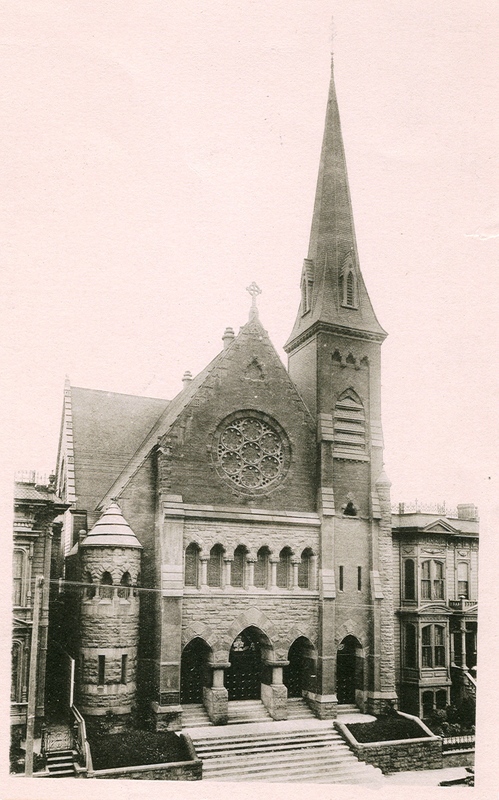 1946: building sold, congregation moves to San Francisco’s Richmond District; . 1989-1990: Extended call to Jeff Johnson; subsequent ecclesiastical trial by ELCA. 1996: Church expelled from Evangelical Lutheran Church in America following call to Jeff Johnson. 2012: Following the Evangelical Lutheran Church in America’s vote in 2009 for full inclusion of LGBT persons in the ministry of the church, on July 15, 2012, the congregation voted unanimously to rejoin the ELCA. 2012: In August, the congregation begins worshiping at St. Cyprian’s Episcopal Church in San Francisco. 2012: On October 14, with the Bishop of The Sierra Pacific Synod in attendance, the congregation celebrates a Service of Reconciliation & Healing in observance of First United’s return to the ELCA.